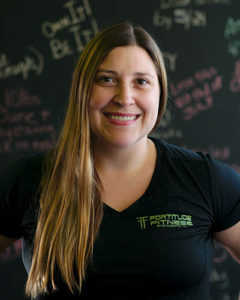 Commitment – Fortitude Fitness is more than just a gym in Sycamore, IL. We’re not here to sell you a membership, access to training equipment, or even personal training. 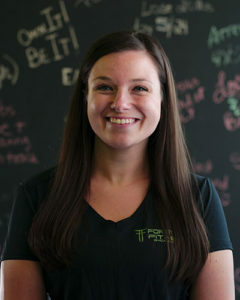 We’re simply here to help you achieve real fitness and weight loss results. We exist to get you results — in fact, we’ll do everything we possibly can to get you results, and if you aren’t happy with the outcome you can use our 100% money back guarantee. 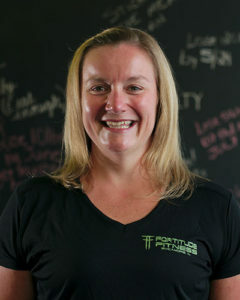 The Fortitude Fitness Training will help get you the body you want with a tighter waist, toned arms, and leaner legs*. * DISCLAIMER: We believe in being open and honest. As such, Fortitude Fitness has made every effort to provide accurate information here. However, we do not guarantee any specific results from our program, as results may vary based on the time, effort and commitment that you invest into a fitness program. My name is Michael Davis and I am an ISSA certified personal trainer as well as a certified group exercise instructor. I received my Bachelors Degree from Judson University in Youth Ministry/ Adolescent Studies, go Eagles! 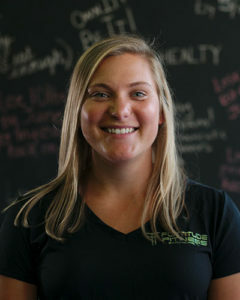 I actually started out as a Financial Aid Director and Youth Director, but soon realized I had a passion for teaching and fitness 🙂 Before starting my journey with Fortitude Fitness, I spent years building relationships and changing lives through personal training and teaching various group exercise classes. I became certified while being a Team Beachbody Coach, helping numerous amounts of people getting healthy and fit. I grew up playing sports and loved the competition and challenge, but most of all the team. There is something about working towards a goal with a group of supportive positive people that gets you to a level you wouldn’t otherwise reach. 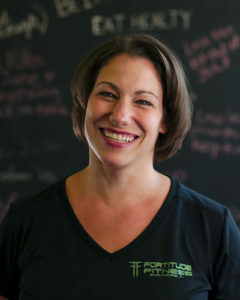 Fortitude FItness is a culmination of everything I love about fitness. It combines the support and accountability of personal training with the fun team energy of group exercise. The 40-minute format not only addresses the “I don’t have time” excuse, but is a fantastic high-intensity full body workout that combines both anaerobic and aerobic work. If you can get it done in 40 why spend an hour or more at the gym? 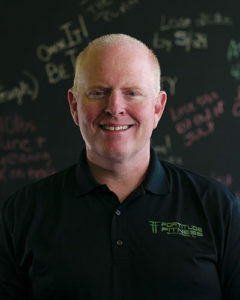 I invite you to reach out or stop by and discover why Fortitude Fitness is the Unstoppable Fitness Formula!